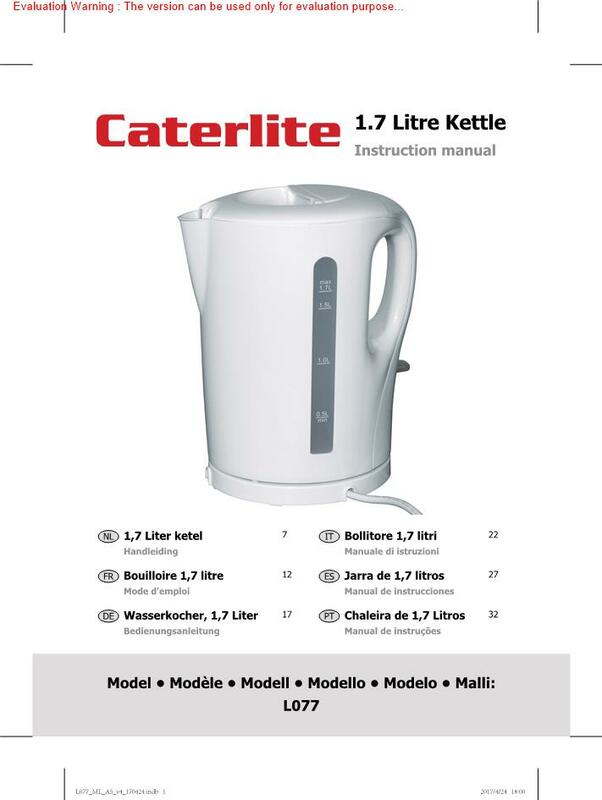 Sturdy and attractive, the Caterlite 1.7 litre cordless kettle is a general purpose kettle ideally suited for domestic use. With a powerful 2.2kW stainless steel element, removable filter and tough polycarbonate body, the Caterlite kettle can quickly and safely boil water for the perfect tea, coffee or other hot beverage. The handy water level gauge and 360 cordless design help to save energy as water can be filled to the desired level without overfilling.